Dogs are not little humans. They are marvelously different, and the ways in which they are different and how this affects our actions as trainers is fertile ground for later discussions on respecting and enjoying differences. We are not all the same, and isn’t it great! Dogs have no “secret agendas” or thoughts – they wear their emotions on their surface, readable by anyone who cares to learn. Part of our goal is to teach the children how to read these emotions and understand how their own actions impact them. Dogs are spontaneous – they live “in the moment”. Their perception of causality is very narrow by human standards. What is happening at any point in time is perceived to have been caused by what immediately (and this means within ½ sec) precedes it. This means that dog provides immediate feedback on handler activity. It also means that a punishment inflicted on a dog for an infraction more than ½ second ago does not have the effect intended. Dogs have been genetically selected for centuries to be tuned to the emotional states of humans. They mirror what they perceive our emotions to be: if we are tense, or frightened, they will be tense or frightened even if they don’t understand the source of our concern. This provides a highly visual external bio-feedback mechanism to the emotional state of the handler – and an opportunity to use personal self-control as a requirement for working with our dogs. Dogs have a strong sense of “manners” – but it is many times just the opposite of what would be appropriate for a human. Dogs, for the most part, are social animals and feel safest and happiest when with they are with their “pack”/family – to the point that even if members of that pack mistreat them, they will suffer the mistreatment rather than be alone. Their visual perception very different from our own. They are red/green color-blind – that red ball in the green grass is harder to see than you think! For most breeds, their distance vision is less than our own, but their peripheral vision is wider. True to their predator ancestry, their eyes are optimized to detect motion (moving ball) rather than stationary objects (ball at rest). Their hearing is more acute, with a range that goes almost as low as humans can hear, but goes WAY higher. This means that their world is filled not only with natural sounds, but all the electronic hums from lights, appliances, etc. of which we are blissfully unaware and dogs can’t escape. 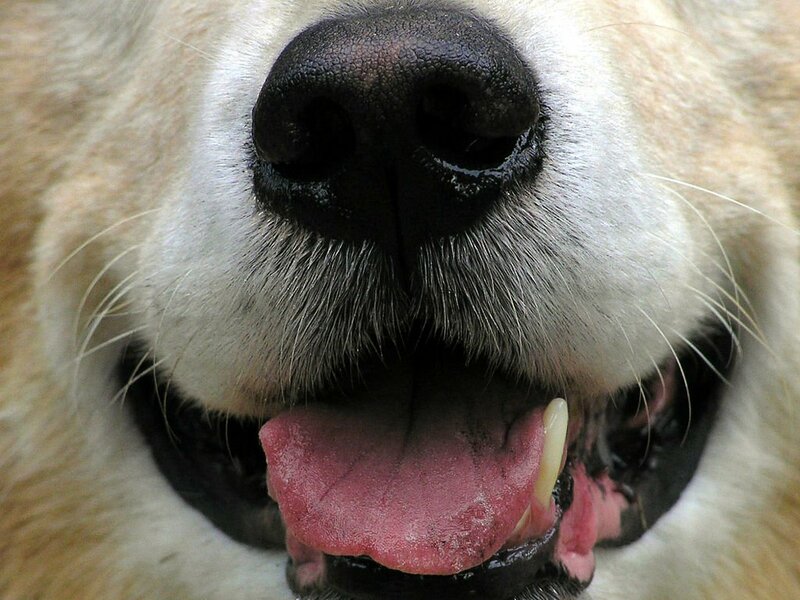 to a specific odor over time, or “blend” fragrances into a single smell, dogs smell every single odor individually until it dissipates into nothingness. This gives them the ability to “see into the past” – a dog that meets you is aware not only of your unique smell + indicators that tell it your emotional state, it can detect what you had for breakfast, that this is the 2nd day you’ve worn those jeans, that you walked across the grass on the way to the bus, stopped to pet a cat, and sat next to someone who lives with a cigarette smoker. Scent-based tricks look like magic, and the children are in on the secret! Director Posted in About the STAR Program, Frequently Asked Questions, Why dogs?